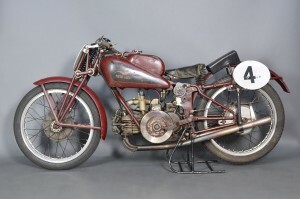 Created in 1934, the 250 4M is an evolution of the pre-existing models and presents two important technical features: four-speed gearbox in block, foot lever and an innovative chassis (first rigid and later changed in 1935 with the introduction of the rear suspension). 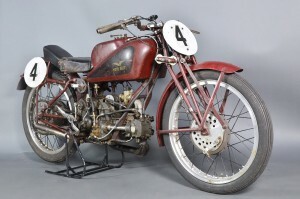 This is the first example of a racing bike with full suspension. 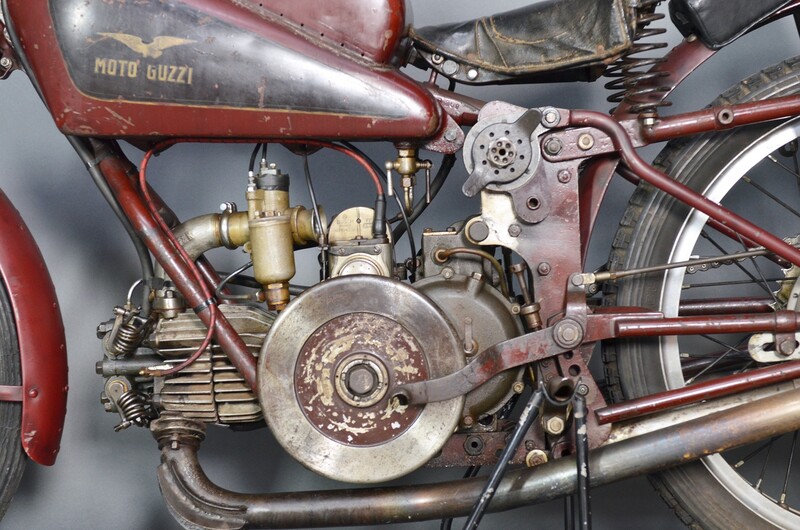 It was a very modern and high-performance motorcycle that was used by the factory riders of the Italian brand. 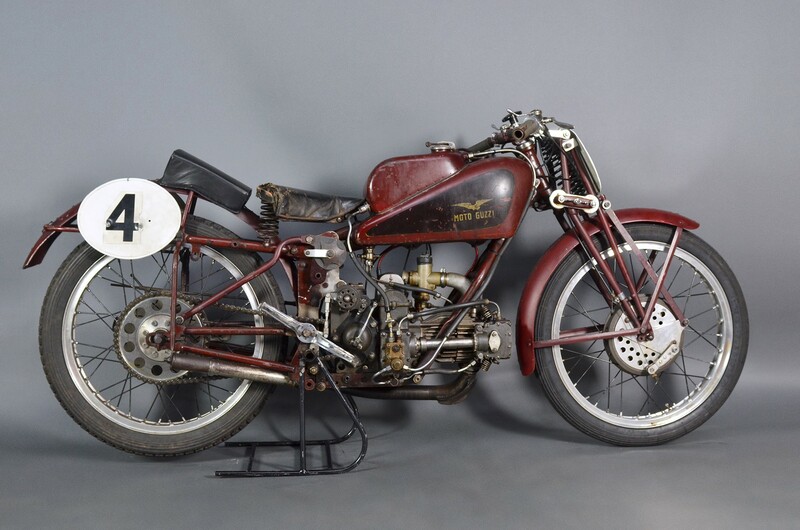 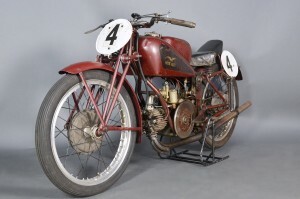 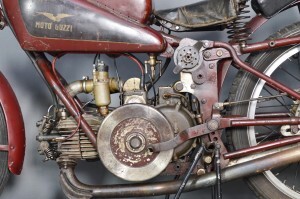 It covers an important place in the history of the motorcycle races by winning the TT in 1935. 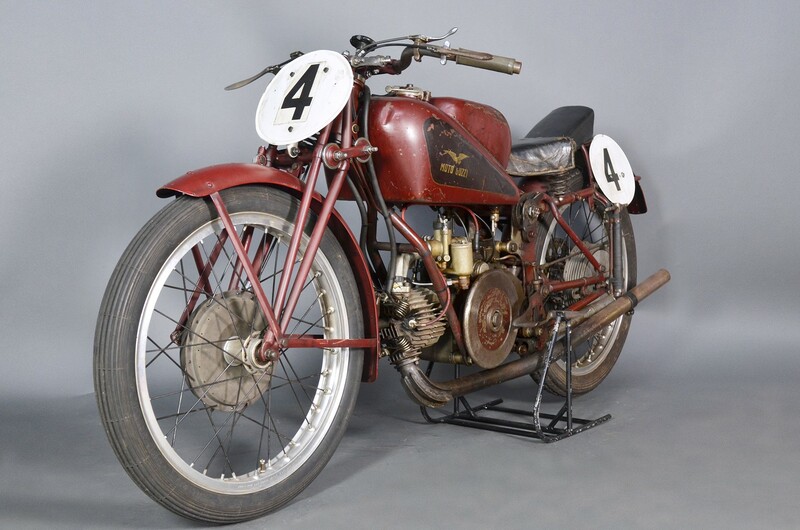 It ‘was, in fact, the first non-British motorcycle to win the trophy, with the legendary rider Stanley Woods. A success repeated two years later with Omobono Tenni, the first non-British rider to win the race in the Isle of Man (just with the Moto Guzzi 250 4M you see in the photo). Later it passed into the hands of private riders and ended up being disassembled to reuse some special parts in other racing motorcycle. 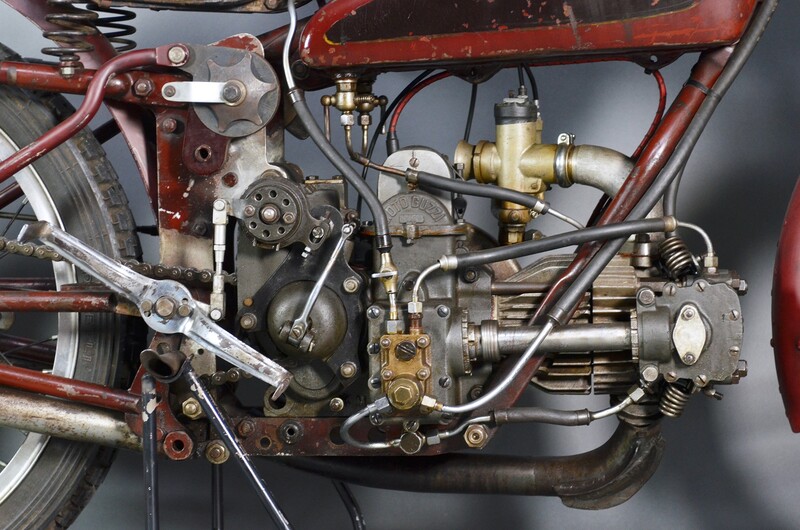 Thanks to a patient and manic work (lasted many years) all original parts have been found, restored and assembled.